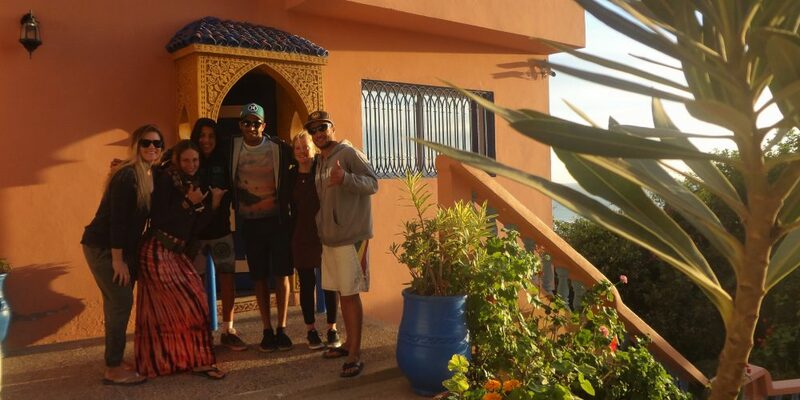 Only 30 minutes driving from Agadir you will find a wonderful surfersvillage Taghazout. 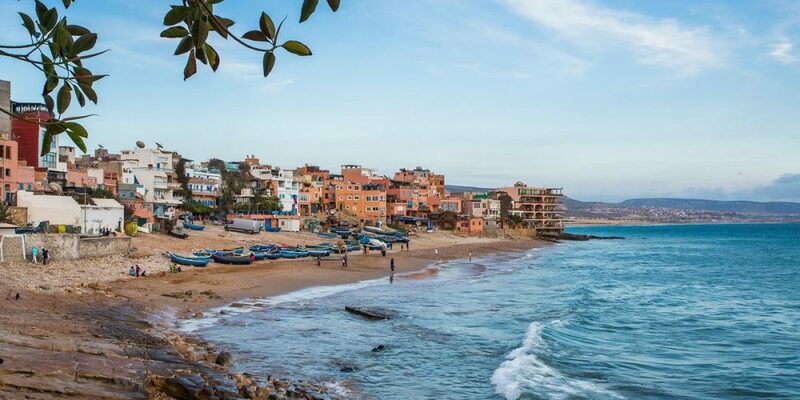 We’ve lived for 4years in this area, and we are happy to share the best things to do in and around Taghazout with you. 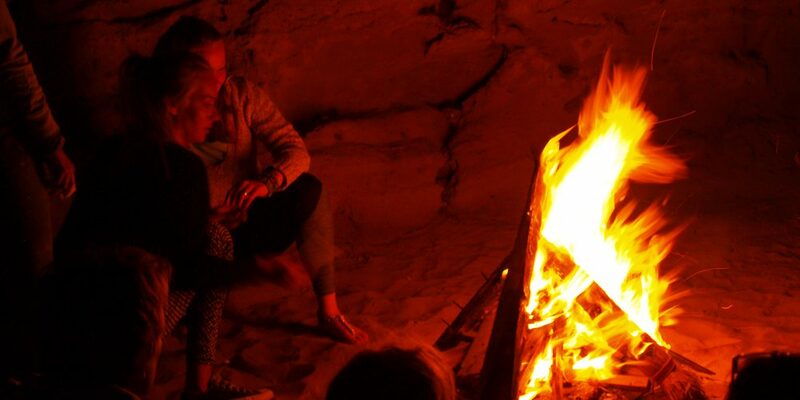 This are the best tips and advices from the locals! Forget your plans and goals: go with the flow! 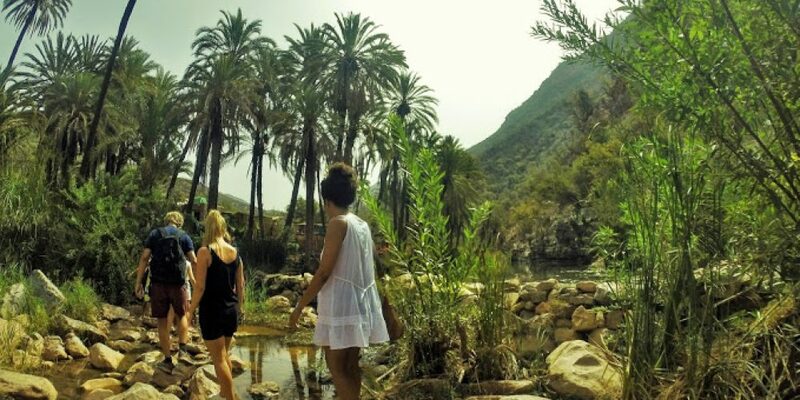 You can’t come to Taghazout (or anywhere near Agadir) without making a trip to Paradise Valley. 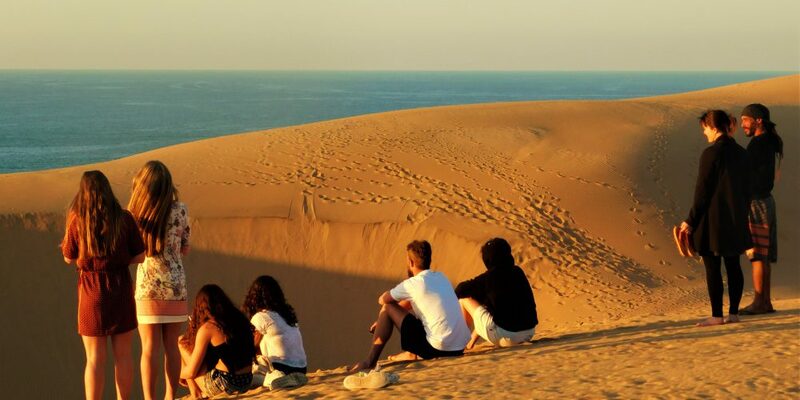 the surfcamp Surf Paradise Morocco, is organising expeditions to this valley. Make sure to bring your camera, because this place is absolutely beautiful! Walk as far as possible: it means less tourists, and more nature! 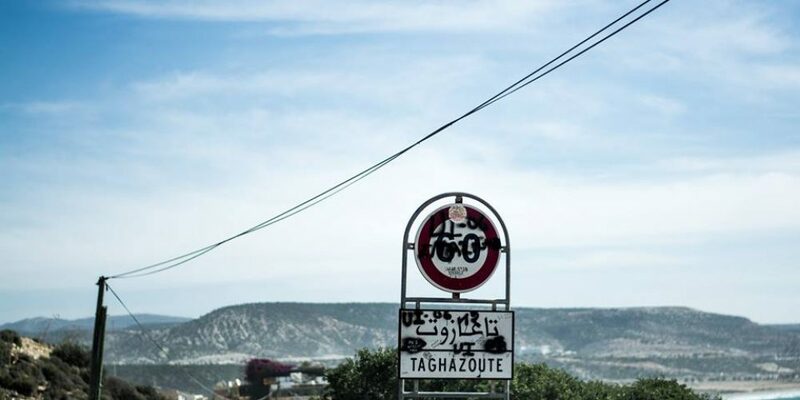 Taghazout is a great village to explore by foot! 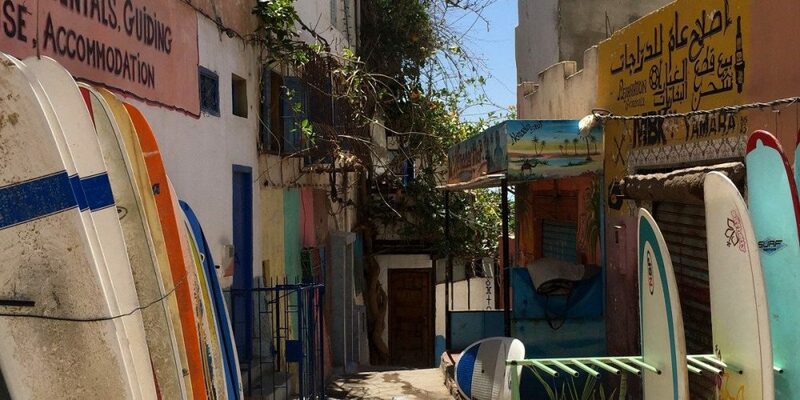 There is so much to explore in the small streets, and the beaches that are around Taghazout! 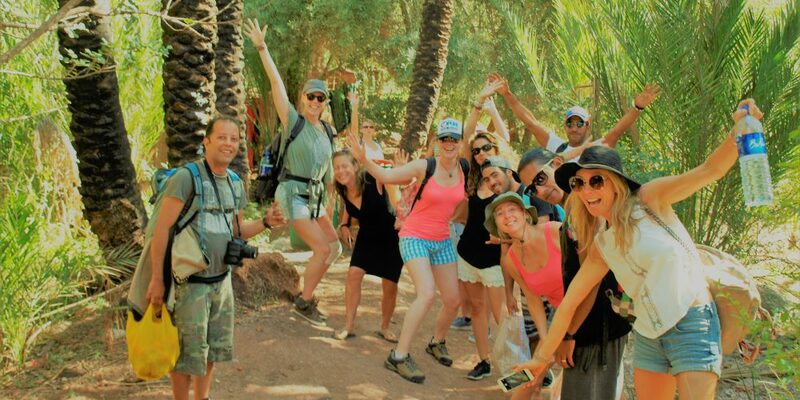 Go on a walking tour trough the mountains It is a tough road but it will lead you to a fantastic view over the bay of Taghazout. visit different beaches, The most common beach is Panorama, but this beach is often really busy and there is a lot of polution in and around the water. In the area there are more quiet and relaxed beaches such as Banana beach and La Source. Must see: with low tide you will find beautiful caves at beach La Source! 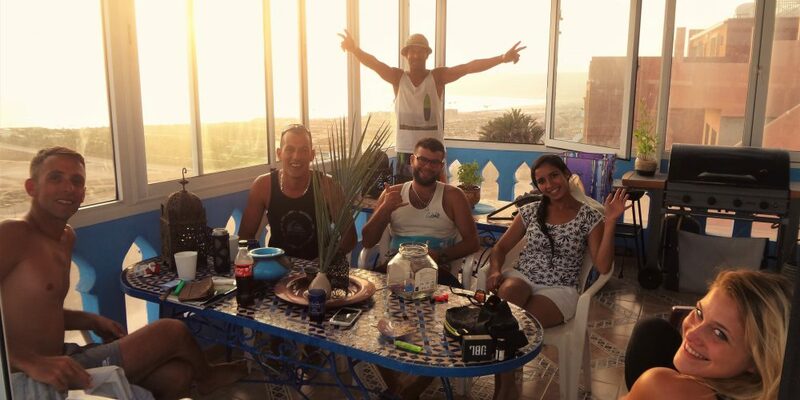 The enviroment of Taghazout already screams to relax. 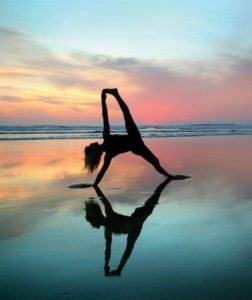 To fully embrace the peaceful state of mind we really suggest you to join the yogalessons! 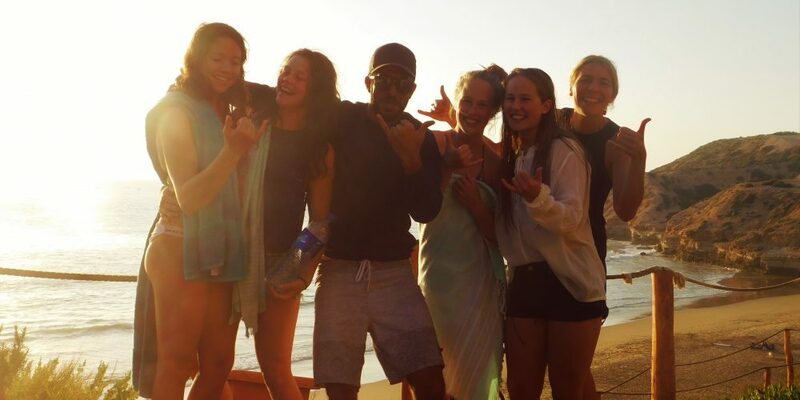 Nothing is better than stretching your muscles after a long surfday. Plus it also prevents you from injuries! 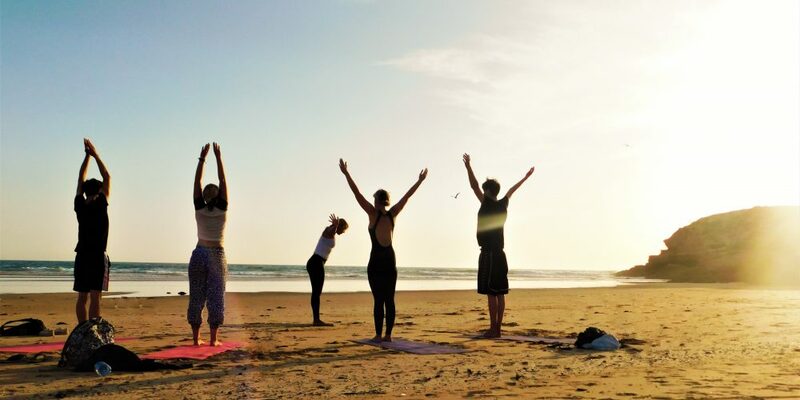 Good yogalessons are given on the rooftop with sunrise and sunset at Surf Paradise Morocco. Even if you are not a skateboarder, this place is a visit worth it! Recently skaters from all over the world builded this skatepark for the local community. In the mountains with a beautiful view on the ocean, skaters are showing their trics and eating together at the BBQ places. Here the local community and tourists comes together to play! 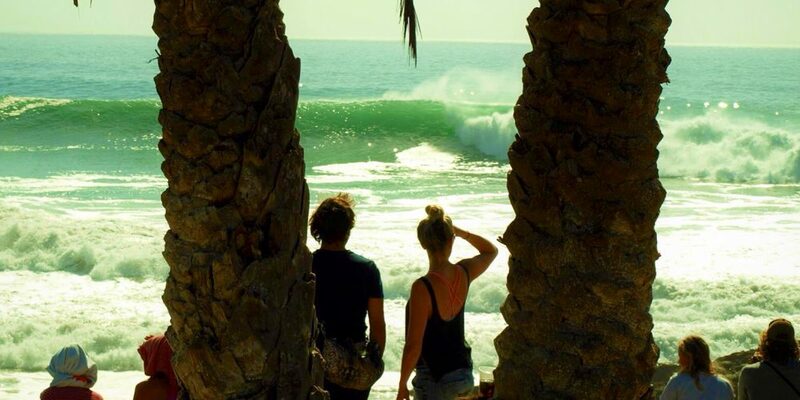 The waves in Morocco are regarded as some of the best in the world. 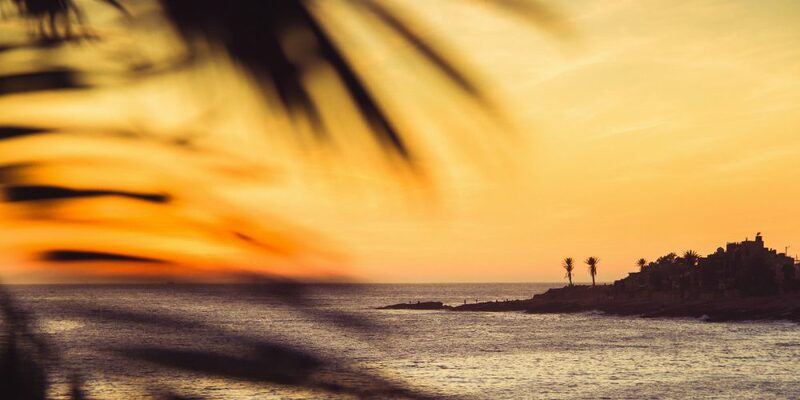 Here you’ll find long beaches that are perfect for beginners, alongside incredible point breaks that will leave even the most seasoned surfers breathless. 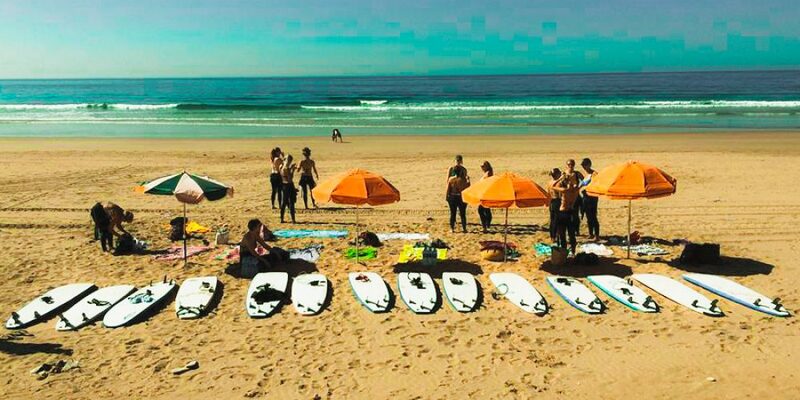 Choose the surf course that suits your level of surfing best and enjoy the expertise and knowledge of our great surf instructors.